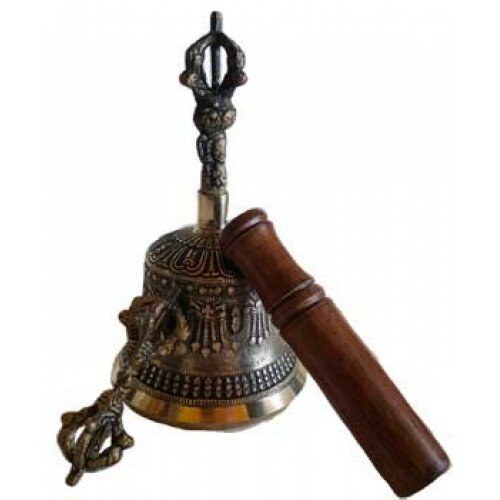 Three piece Tibetan Bell with Dorji has excellent tone and can be rung easily similar to a school bell. Does not require skill to use. This is a good choice for ritual or even to show off as a decore piece . Detailed metal casting, 6".